Polar caps continue to melt, coral reefs are bleaching and dying, and ocean levels rise. A growing number of places are experiencing water scarcity and decreases in crop yields, while natural disasters are growing in number, and intensity. It may seem that such issues are strictly environmental, but they are linked to a carbon-based economic business model. This is one in which the richest one percent of the population appropriates 33 percent of the wealth, where approximately half of working age women are left out of the labour market, and there are 122 young women for every 100 young men living in poverty. Meanwhile, less than five percent of the largest companies’ boards are women, and for every dollar that men earn on average, women earn about 80 cents. 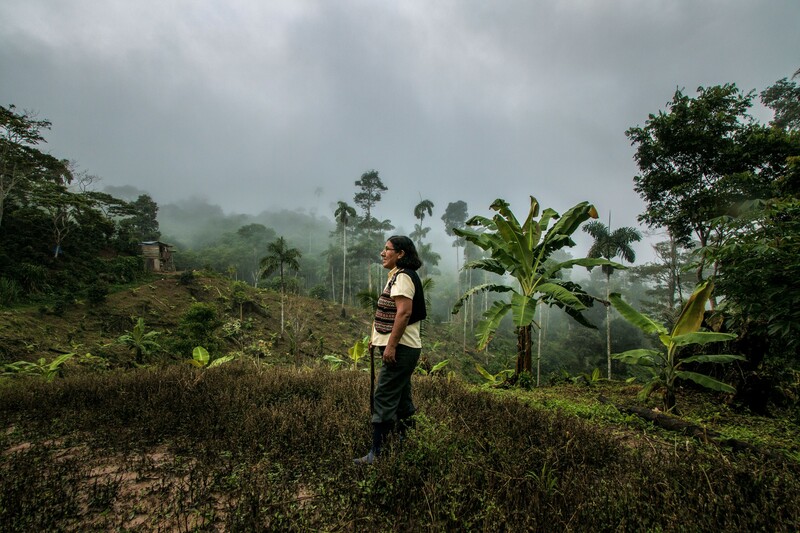 While climate change is detrimental to all, it’s more so for women, and even worse for rural and indigenous women. It’s estimated that roughly a quarter of economically active women work in agriculture, and reduced crop yields because of climate change will have a particularly devastating effect on the livelihoods of millions of them, as well as unequal effects on their families’ health and nutrition as commodity prices rise. Companies have a tremendous responsibility and urgent need to find responsible modes of production — and they need prosperous societies if they are to thrive. The 2030 Agenda, the compass that guides the destiny of humanity, aims for a world without poverty and hunger, and with quality education as well as affordable, clean energy. However, it seems such goals cannot be achieved without radical change. First, ensure that corporate sustainability is part of corporate DNA. There must be a commitment at the highest level. When ENEL in Colombia embedded gender equality they found that having more females in the talent pool was good for the business. Thanks to the Gender Equality Seal (Equipares, a programme led by the Ministry of Labour) ENEL increased the female staff to 34 percent, compared to 66 percent men, with 36 percent in executive positions. Second, assess their level of alignment with the Sustainable Development Goals (SDGs): determining its core business contributions, philanthropic initiatives and other social responsibility strategies not directly linked to it. It can measure the status of its internal gaps with the SDGs, for example, gender and wage gaps as well as gaps in male versus female absenteeism or participation in leadership positions and boards of directors. It can also measure its carbon footprint, water consumption and energy consumption against the SDGs. UNDP has developed a tool for such assessments, Equality@Work an online platform, a technological solution to measure gender gaps in companies. Third, ensure management practices favour equal opportunities. Transform the company’s cultural norms and compensate those who are disadvantaged, all while at the same time incorporating sustainability goals. In Chile, CODELCO thanks to the Gender Equality Seal put in place the Gabriela Mistral Programme, aimed at achieving gender equality and promoting women’s empowerment. The female share increased by 12 percent in four years and they also experienced a remarkable improvement in their work environment. In fact, 73 percent of employees in 2017, compared to 62 percent in 2013 reported they worked in a positive environment. 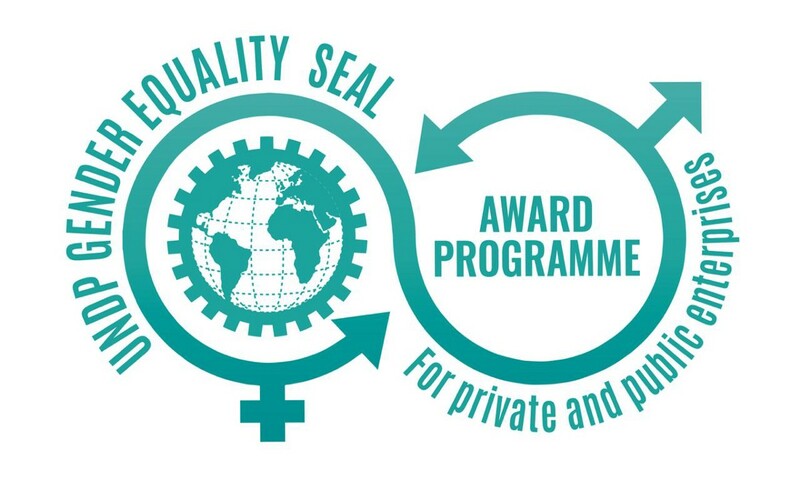 The Gender Equality Seals are an effective way to achieve these changes. They are certification programmes promoted by UNDP to generate clear business strategies that support gender equality. Companies can also join programmes such as the Green Commodities Programme, which helps to achieve a sustainable agricultural and marine commodity production. Fourth, make the sustainable development agenda a market opportunity. It’s estimated that achieving the SDGs could open up to 60 market ‘hot spots’ that could add approximately US$12 trillion to the global economy and create more than 380 million new jobs . Opportunities abound in waste reduction, circular economy models for electronics, food production, remote health care, sustainable housing, and much more. In the Dominican Republic the BHD Bank, understood they were losing money before they got certified with the Gender Equality Seal. Thanks to the programme they developed five new value propositions, specially designed for women. The number of female clients increased to an average annual growth rate of 13 percent compared to 12.6 percent for male clients during the same period. And the total number of financial products sold to women increased from 667,000 to $1.1 million. Finally, companies can build partnerships with development partners and knowledge networks that support businesses on the path to sustainability and equality. They can join platforms that facilitate such connections and the exchange of information, resources and experience. UNDP will soon launch the SDG Impact platforms and SDG Accelerator Labs, which will allow alliances between public and private sectors and facilitate knowledge, technology and innovation.